FREE on site parking is available at Taunton Racecourse, suitable for all types of vehicles from 5:30pm onwards on Monday 5th November 2018. All parking will be in the main racecourse car park, located opposite the main entrance off the B3170. With thanks to Main Event Security Ltd, we are implementing a new improved parking system for 2018. Professional marshalls will be on hand to show vehicles where to park and a fully, professionally manned traffic light management system will be in force to aid a steady flow of traffic to, from and outside the venue. This year, the three main car parks are will be labelled blue, green and red (see plan below). All traffic will enter the site via the central, green car park and then be directed into either the blue or red zones to park. Exiting the car parks will be either from the blue or green car parks. Blue car park will initially be right turn only upon exit, until the other car parks are cleared. Vehicles turning right from the blue car park and wishing to head into Taunton, should continue to Corfe, then turn right towards Pitminster and then right again towards Trull. We utilise a mixture of our own traffic management team and a third party company but please remember, they are there to keep you safe! Please be respectful, patient and careful whilst entering and exiting the site. Disabled parking is available within the main site. Vehicles are requested enter the venue via the main coach entrance (nearest entrance traveling from Taunton) which will be clearly signposted. Follow the signs/marshals to be directed to allocated parking spaces. After parking within the main car park, you will be directed towards the pedestrian crossing which will take you to the main entrance. Anyone who has bought tickets in advance will be directed towards the right hand side of the gate for direct entry. Please have your ticket available in hand or on your smartphone. Anyone wishing to buy tickets on the night will be directed to the main ticket booths, location on the left. The event is held in the centre of the course, with toilets located to the right hand side of the site near the centre course. Visitors arriving via the disabled entrance, should show your ticket to the staff located near the entrance. You are also able to but tickets here too. Disabled parking will be located on the hard standing, in front of the main grand stand. PLEASE RESPECT THE DISABLED PARKING and have your blue badge on display. 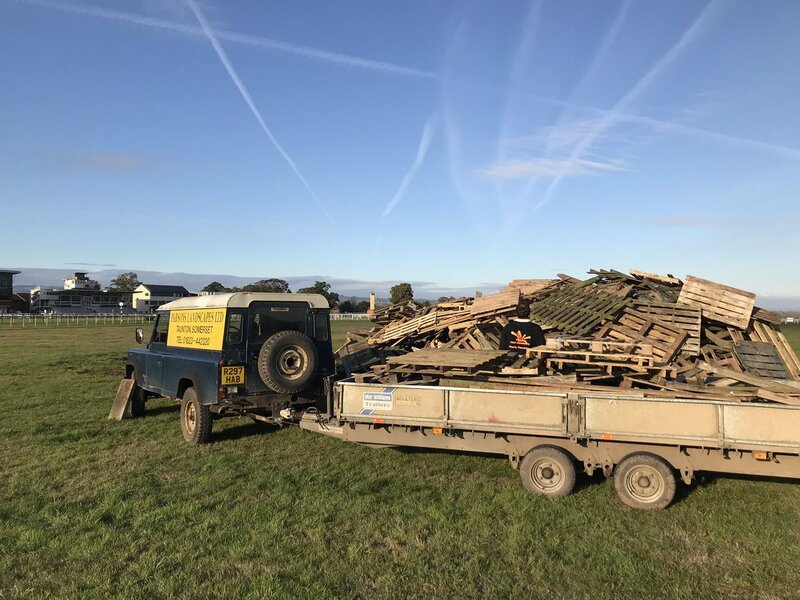 Hatch Fireworks is held at Taunton Racecourse, Orchard Portman, Taunton, Somerset, TA3 7BL. For a map of the venue – click here. Big thank you to @suntraffic, who are suppprting us again this year with our traffic management system and road signage!